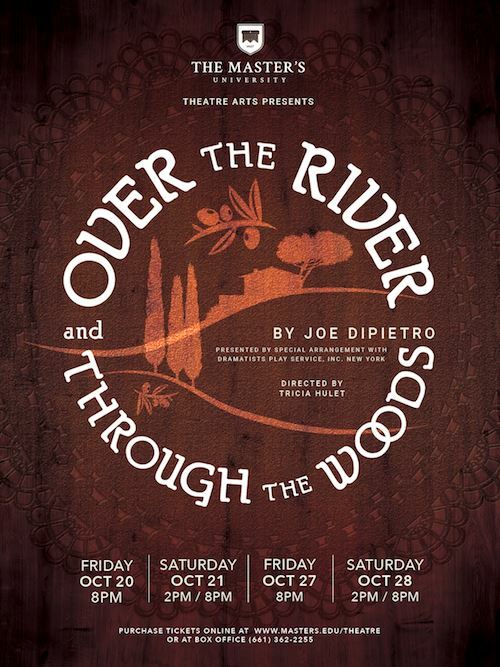 If you like attending live theatre in the Los Angeles area or if you are a college student interested in a Biblically uncompromising and thriving theatre program - no matter what your major - look no further! The Master’s University Theatre Arts produces clean, top-quality, and entertaining plays and musicals filled with intriguing plot lines and captivating characters that you are sure to enjoy watching - or you can help bring it all to life! Mix a Hitchcock masterpiece with a thrilling spy novel, add a splash of comedy, and you have The 39 Steps — a fast-paced whodunit! 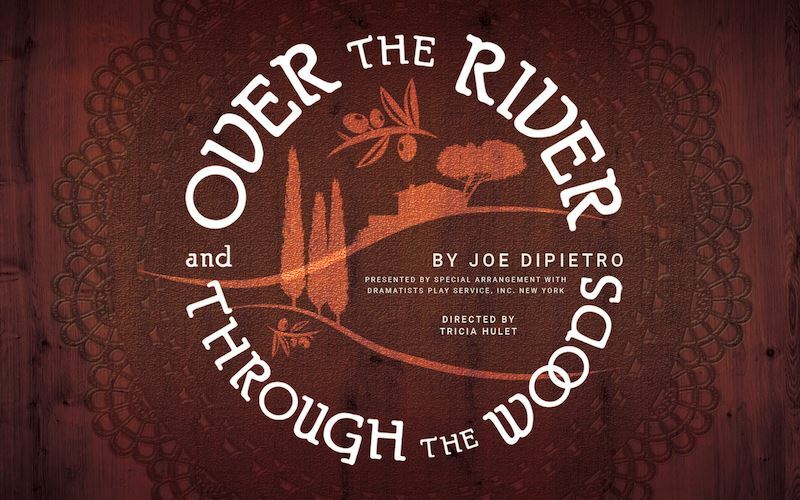 This two-time Tony® and Drama Desk Award-winning treat is packed with nonstop laughs, suspense, and good old-fashioned romance! In The 39 Steps, Richard Hannay finds himself caught in national intrigue when a woman claiming to be a spy tells him about the mysterious “39 Steps.” Can he help her before she is caught by their enemies? Soon, a shadowy organization is hot on his trail, and Hannay becomes the focus of a countrywide manhunt with national security on the line! 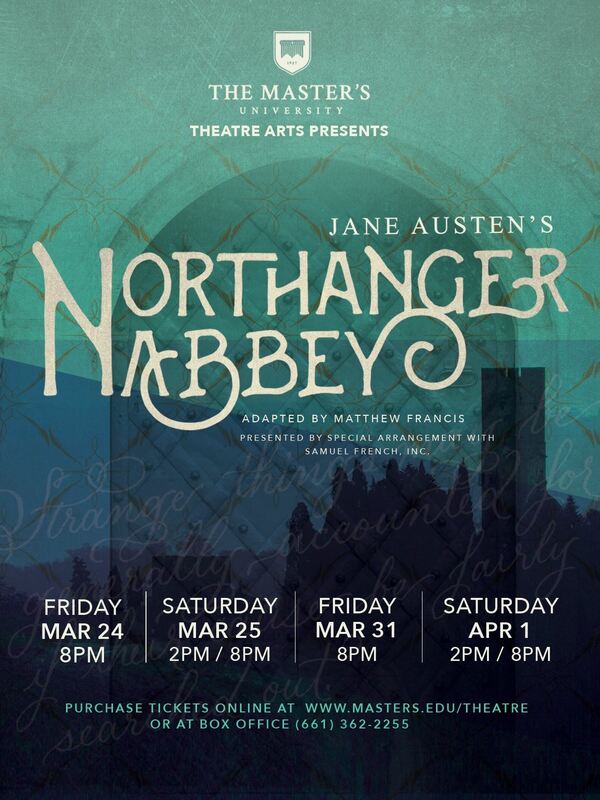 With more than 150 characters played by 4 or 5 flexible and brilliant actors/actresses, this show will combine uproarious laughter and imaginative stagecraft in an unforgettable semester of live theater! A delightful romantic comedy set in 1950s Long Island, Sabrina Fair ushers you into the luxurious life of the Larrabees—a family accustomed to leisure, power, and influence. All is calm and as it should be until Sabrina Fairchild, the chauffeur’s daughter, arrives home from Paris. She returns to the apartment above the garage a refined woman, but unsure of one thing. Could a French suitor have a chance to win her heart? Or is she still in love with charismatic and charming David Larrabee? While many would no doubt the suitability of their relationship, what would David’s older brother Linus think? In fact, is Linus himself - confident, controlled and even stern - immune to Sabrina’s charm, excitement, and love of life? Will the Larabee family survive Sabrina’s reappearance in their lives? Or maybe, just maybe, they will wonder how they ever survived without her. Sabrina Fair is a beautiful story that sparkles with wit and humor, love and family. Don’t miss it! Theatre productions at The Master’s University exist to glorify God and impact our community through thoughtful and excellent presentation of plays or musicals and by enjoying human creativity as a reflection of The Creator as becomes a child of God. TMU Theatre Arts is a co-curricular program offered by the School of Music, designed to give training and expression in the performing arts along-side any major at the university. TMU Theatre Arts has been dubbed “The People’s Theatre.” Its participants and contributors span across all disciplines, dorms, and interests at TMU. As a co-curricular program, any participating students can receive repeating credits in either theatre arts or production techniques and this will be reflected on their transcripts. It’s been 10 years since the program revival and the theatre department continues to be an amazing tool in the hands of the Lord in so many lives. We have seen the Lord use theatre to show how even a school play can be eternally significant. Lives are being changed, attitudes and perspectives altered, and love for the Lord and for each other keeps growing. Students are being trained in a Biblical philosophy of the performing arts while also learning and gaining experience in the craft of acting or the many aspects of production. Our commitment to the process as much as the product enables us to have an others-focused theatre department. This pervades all of these areas as we strive together to serve one another using our varied giftedness. Many of our graduates have continued into jobs in the arts industry or teaching and we love seeing how they are able to use their giftedness and be a gospel witness. Opportunities to be involved include acting, stage managing, lighting, sound, production design, video production & social media marketing, costuming, and makeup. We are excited to see how God continues to grow the program as those involved seek to serve and honor Him first and foremost through the medium of good theatre as a gift to the audience with no compromise of who we are as children of God. COME JOIN THE MASTER’S UNIVERSITY THEATRE ARTS PROGRAM! The characters are varied in type and temperament. There are comedic characters and deep characters and much in between. The actors must be believable and relatable, avoiding stereotypes and caricatures. Polished American - often called the “Mid-Atlantic Accent” - is preferred. In order to bring to life beautiful and lavish life of the Larabees, we will need a talented and creative crew! Tricia directs the Theatre Arts program and teaches Production Techniques & Stage Training. She also produces the annual Christmas and Forest Lawn concerts series and manages all concerts, recitals, and events through the School of Music. She is a graduate of The Master’s College (MA Biblical Counseling; ACBC Certified; BA Biblical Counseling/minor in Music), where she studied voice and was extensively involved in musical theatre while studying Biblical Counseling. She has held leading roles in several major productions including Hodel in “Fiddler on the Roof”, and Mary Lennox in the musical version of “The Secret Garden”. 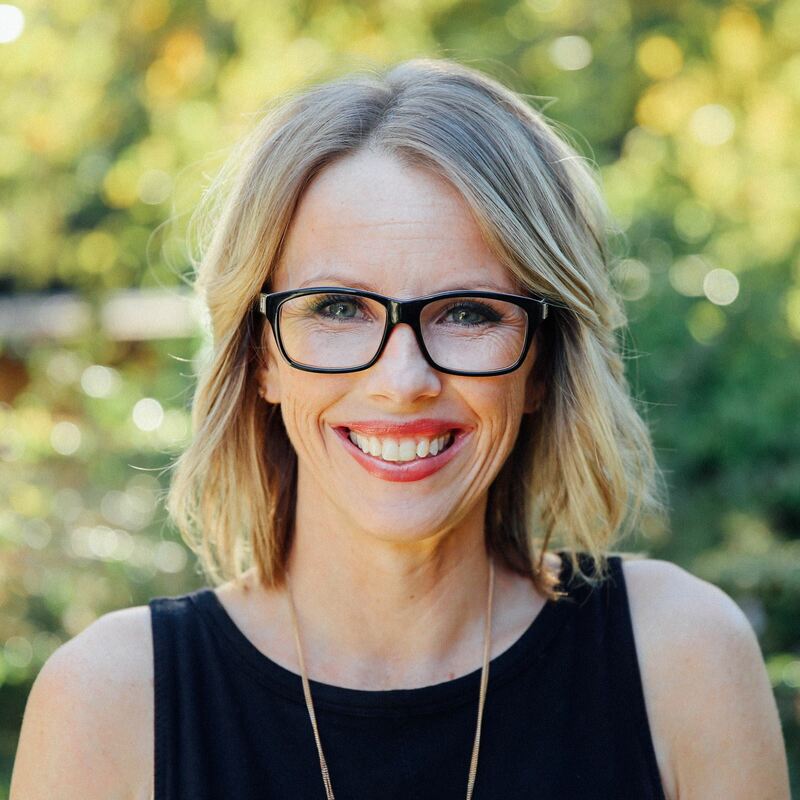 Tricia values the authority and sufficiency of Scripture in all things and loves being a student of people and their stories, from a Biblical worldview. She first began directing theatre in 2004 for a Christian high school; she was then brought on in 2007 to revive Theatre Arts under the umbrella of the School of Music. Tricia has seen theatre arts function as a refining tool in many lives - shaping and sharpening hearts to live in light of the Gospel we have been graciously saved by - and used to build another example of biblical community that is a bright light to the watching world. Helping students round out their biblical worldview in the area of performing arts is a joy and blessing. Tricia and her husband, Dave - the Dean of Men here at TMU, met here as students and are blessed to continue work at The Master’s University together and be members of Grace Community Church. 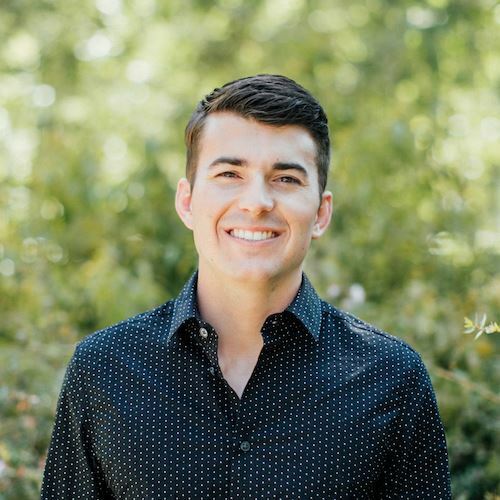 Raised in Northern California, Seth moved to Los Angeles to attend The Master’s University and pursue a career in the film industry using his degree in Communications. Seth performed in two productions with TMU Theatre Arts while a student - Nick Cristano in the Fall 2017 revival production of “Over the River and Through the Woods,” and Henry Tilney in “Northanger Abbey.” Due to his desire to work professionally in the industry, Seth is grateful to get to be a part of this Christ-centered program, as he knows it is a rare opportunity in the performing arts. Theater at TMU has pushed him as an actor and as a whole person being made more into the image of Christ. Now as an Assistant Director, he is excited for the opportunity to give back to the current students what he has learned through this program and his time in the film industry. He is excited to work in this capacity alongside the cast, crew, and fellow directors to display God’s glory both on and off the stage. 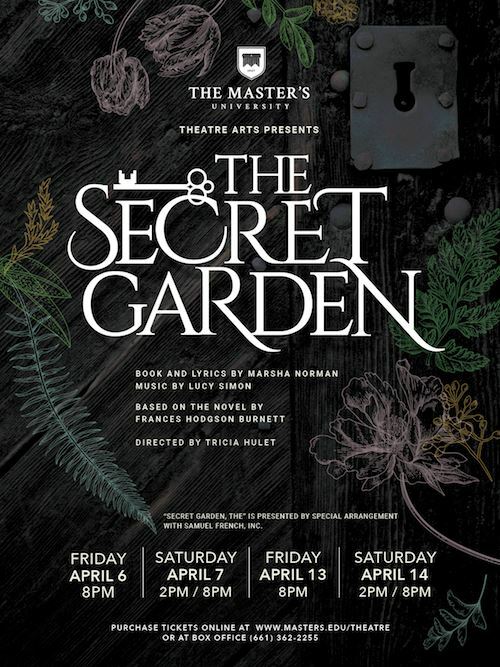 Continuing our celebration of the 10th Anniversary of the revival of TMU Theatre Arts, we are delighted to bring this gorgeous, musical adaptation of Francis Hodgson Burnett’s “The Secret Garden.” Marsha Norman and Lucy Simon’s music and lyrics are a perfect addition to this beloved story of forgiveness, redemption, and the importance of love and community. After her parent’s untimely death in India, lonely Mary Lennox is sent to live with her reclusive uncle in Yorkshire, England. Members of the household and community reach out to Mary to try to sooth her broken heart, but they are surprised by the ways she - with the help of a forgotten and secret garden - is used to bring them together. Nick visits his grandparents in Hoboken, NJ every Sunday for dinner. But what lengths will his grandparents go to keep him from moving to Seattle? As they plan blind dates and tempt him with never-ending, mouthwatering meals, Nick has to evaluate what is important in life and learn to count the cost of his decisions. 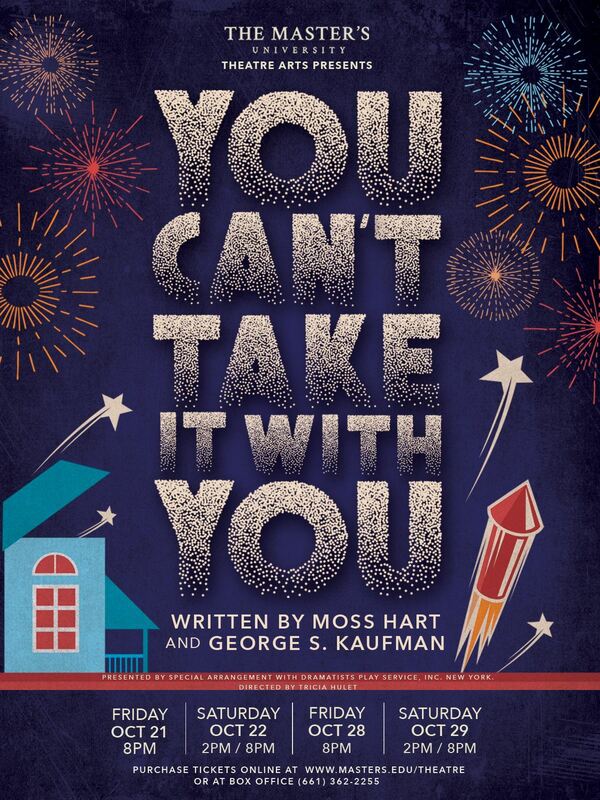 This show promises gut-wrenching laughter and a story that pulls on your heartstrings and causes you to consider, along with Nick, what matters most in life. 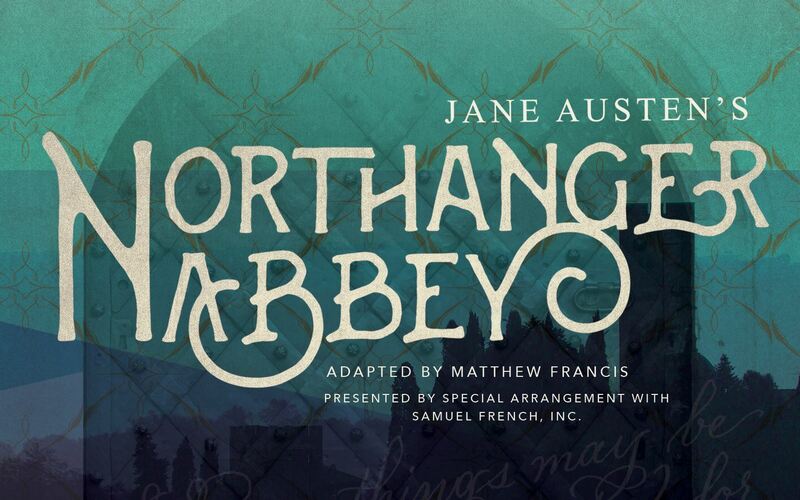 Jane Austen wrote “Northanger Abbey” in a time when the overly dramatic Gothic Literature was quite in fashion and she observed the dangers of young people becoming too immersed in their novels. This story followed one such young woman named Catherine, making her first expedition out into the world. She interacts with real people in the real world while struggling to control an imagination that had been influenced by too many novels. This specific play was especially impactful in telling this story as it had a group of characters that depicted Catherine’s thoughts/imaginations/mind. The climax of the story came after Catherine was painfully confronted by a true friend and asked “what ideas have you been admitting?” There was then a scene where she visibly had to take her thoughts captive and banish the undisciplined thoughts from her mind. The overwhelming majority of audience members were quite struck by this theme and many even used the word “convicted” by it, along with the themes of developing true character, having friends who speak the truth and not flattery, and more. CAST: Micaiah Christopher, Rebecca Laird, Joshua Nelson, Rebeqah James, Kaitlynn Morgan, Abigail Olson, Jon Denys, Kailey Richardson, Luke Bailey, Daniel Barulich, Seth Bowling, Katie Pennington, Beth Cathcart, Faith Gates, Peter LaCom, Jennifer Martin, Christina Meitler, Jubilee Philipp, Dustin Dudley, Jeff Caparula, Robbie Provost and 40+ others on our production crew! Audiences adored this classic comedy of errors! 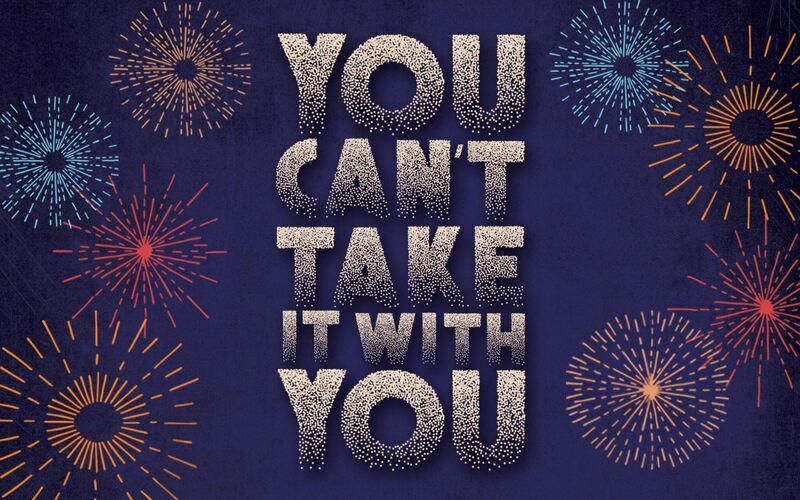 “You Can’t Take It With You” delivered a fun, entertaining evening for all! Set in 1930’s New York City, the Sycamore family, filled with aspiring artists, ballerinas, writers, inventors, amateur firework makers and more, seems a bit crazy! Especially when compared to the upper-crust, reliable, respectable Kirby family. But when Tony Kirby falls in love with Alice Sycamore, we start to wonder if perhaps the Sycamores have life figured out more than we think! After all, you can have all the riches in the world, but you can’t take it with you! CAST: Daniel Barulich, KariAnne Frazer, Emilio Gutierrez, Jubilee Philipp, Jeff Caparula, Christina Meitler, Luke Bailey, Ryan Selga, Kailey Richardson, Rebecca Meitler, Chandler Johnston, Kyle Shannon, Joshua Nelson, Tamar Butler-Robinson, Elizabeth Anderson, Peter LaCom and 38 others on our production crew!